A mass extinction is when more than 50% of the world’s species die out over a geologically short period. It occurs in less than 200,000 years, a period that’s short when compared to the earth’s 3.5 billion-year history. A species is a group of organisms that have similar appearance, anatomy, physiology, and genetics. Scientists detect mass extinctions using carbon dating of ancient rock layers. This technique isn’t very precise, so it’s possible an extinction could have occurred in as little as 150 years. Whether it’s 150 or 200,000 years, the environment changes so fast that most species can’t adapt or evolve. As a result, they go extinct. A mass extinction has only happened five times in the earth’s history. Most scientists agree that the earth is in the process of the sixth mass extinction. The common culprit in all the past five mass extinctions was a change in the carbon dioxide level. When CO2 rose, it caused global warming. When it fell, it cooled the earth. The Ordovician extinction occurred 440 million years ago. The most widely-accepted theory is that Gondwana, the southern part of Pangea, drifted to Antarctica where it formed glaciers. The white ice reflected heat back into space, chilled the atmosphere, and made sea levels fall. A new theory places the blame on high levels of metal. Others think a gamma-ray burst from a supernova destroyed the ozone layer and cooled the atmosphere. The cooling oceans killed 85% of all species. The dominant life form was small marine animals and plants. Dying plankton created the oil that we burn today. Coral, algae, fungi, lichen, and mosses survive to this day. Devonian extinction occurred 365 million years ago, ending the Age of Fishes. Trees had become prevalent, but they absorbed carbon dioxide. Normally, dead and decaying plants emit the CO2 back into the atmosphere, but the land was so wet that they became buried in swamps and became coal. The plants also emitted nutrients in the ocean that fed algae. The resulting cooler temperatures and toxic oceans killed 87% of all species. Life in the oceans was dominant. Sponges, corals, brachiopods, and trilobites went extinct. Animals such as horseshoe crabs, jawed fish, hagfish, and the coelacanth, survived to this day. Among plants, the ferns and horsetails still exist. The cooler temperatures and falling sea levels allowed the evolution of land animals. Permian extinction was the largest extinction event in history. It occurred 250 million years ago and lasted only 200,000 years. It ended the Age of Reptiles. Volcanic eruptions spewed gas that caused acid rain. Greenhouse gases from fires and decaying matter raised the earth’s temperature and depleted oxygen. The oceans warmed by 14 degrees Fahrenheit. At least 90% of species went extinct. The dominant species were mammal-like synapsids. They ruled for 60 million years before going extinct. Phyto-plankton, snails, mollusks, and sea urchins survived the extinction. It ushered in the Age of Dinosaurs. Triassic extinction occurred 200 million years ago. The landmass Pangea began breaking apart. It caused widespread volcanic eruptions lasted for 40,000 years. They spewed greenhouse gases that warmed the atmosphere and acidified the oceans. Over 75% of species went extinct. The extinction of other vertebrate species on land allowed dinosaurs to flourish. Cretaceous extinction occurred 65.5 million years ago. It was caused by a nine-mile wide asteroid that hit the Gulf of Mexico. The heat wave burned most of the forests and created a dust cover that blocked the sun. It ended the Age of Dinosaurs. Only animals smaller than a dog survived. Ground-dwelling dinosaurs survived the deforestation to evolve into modern birds. The table below summarizes the five previous mass extinctions. Over the past 100 years, species have been going extinct 100 times faster than the natural rate. The usual rate of extinction is a healthy result of evolution by natural selection. For example, the natural rate of extinction for bird species was six every hundred years before 1600. Between 1800 and 1900, that increased to 48 species. Between 1900 and 2006, another 63 species had gone extinct. What about other species? According to the International Union for the Conservation of Nature, there are 1,562,663 species that have been identified so far. This includes 5,416 mammals, 10,000 birds, 29,300 fish, 950,000 insects, and 287,655 plants. Experts believe that between 150 and 1,500 are going extinct each year. At minimum, the earth loses a species every three days. The IUCN is analyzing which species are most at risk. Of the species it has assessed, 27% are now threatened with extinction. This includes 40% of amphibians, 31% of sharks and rays, 25% of mammals, and 14% of birds. It has identified the 18 exceptionally rare animals that will probably go extinct in the next few years. These include (with the number remaining) the Amur leopard (20), vaquita porpoise (30), North Carolina’s red wolf (40), Javan rhino (58), Sumatran rhino (80), Malayan tigers (250), Cross River gorilla (200), Yangtze porpoise (1,000), Northwest Borneo orangutang (1,500), Sumatran elephant (2,400), Black Rhino (5,000), Sumatran orangutan (7,300), Grauer’s gorilla (8,000), Hawksbill turtle, Saola, and the South China tiger. Another 48 animal species that are facing a very high risk of extinction. They include very familiar animals such as the Atlantic bluefin tuna, the chimpanzee (200,000), and the blue whale (10,000). Another 19 are vulnerable, or facing a high risk of extinction. These include the snow leopard, bigeye tuna, and the black spider monkey. Below is a tabular breakdown of the remaining population of the species mentioned above. Scroll down to view the complete dataset. By 2050, up to 50% of all species alive today could be headed towards extinction. That qualifies as a mass extinction event. This problem is not just in the developing world or with exotic animals. In the last 100 years, America lost species such as the heath hen, Carolina parakeet, and the passenger pigeon. In the United States, up to 18% of species are listed as threatened or endangered under the Endangered Species Act. Plants The IUCN has evaluated 12,914 of the 300,000 known plant species. Of those, 68% are threatened with extinction. Insects In 20 years, 40% of insect species could disappear. Bees, butterflies, ants, and beetles are disappearing eight times faster than mammals, birds, or reptiles. One-third of insect species are endangered already, but especially houseflies and cockroaches. The biggest cause of insect decline is habitat destruction due to farming and deforestation. Contributing factors also include pesticide pollution, invasive species, and climate change. Amphibians At least one-third of the 6,300 known species of frogs, toads, and salamanders are at risk of extinction. The current extinction rate is at least 25,000 times the background rate. The chytrid fungus is decimating those that have survived habitat destruction, pollution, and commercial exploitation. At least 90 affected species have gone extinct, and another 124 species have lost 90 percent of their numbers. Species that have gone extinct since 1990 include the Costa Rican golden toad, the Panamanian golden frog, the Wyoming toad, and the Australian gastric-brooding frog. Canadian researcher Wendy Palen said it's "the most destructive pathogen ever described by science." Birds In the United States, 9% of the 800 species in the country are endangered or threatened with extinction. BirdLife International estimates that 12% of the world’s 9,865 bird species are now considered threatened. Around 2% face an “extremely high risk” of extinction in the wild. Fish The American Fisheries Society identified 233 fish species are in danger of extinction. Globally, one out of five species faces extinction. This includes more than a third of sharks and rays. Also at risk are bluefin tuna, the Atlantic white marlin, and wild Atlantic salmon. Reptiles Around the world, 21% of reptile species are endangered or vulnerable to extinction. These include desert tortoises, the loggerhead sea turtle, and leatherhead sea turtles. Mammals More than one in five mammal species are at risk. Even worse, 50% of primate species are facing extinction. These include gorillas, lemurs, orangutans, and monkeys. ﻿Chimpanzees which share of 98% of human DNA, have been listed as endangered since 2015. The six major causes of this catastrophe are loss of habitat, introduction of foreign species, pandemic diseases, hunting and fishing, pollution, and climate disruption. All of these are man-made. This impact is so prevalent that some scientists are calling this the Anthropocene extinction. A 2004 study found that human population density was the biggest cause of local higher extinction rates. When people moved into an area, animal species died off. They were hunted, their habitat was cleared for farming, and they were polluted by waste. Humans also brought along foreign species, such as rats, and pandemic diseases that killed off other species. Climate change threatens species worldwide. It is melting glaciers, raising temperatures, making the ocean more acidic, and creating drought. It threatens polar bears, koalas, Adelie penguins, and coral reefs. For example, the golden toad went extinct in 1989. It lived in Costa Rica’s cloud forests that have disappeared due to climate change. Climate change is especially harmful to species that live nearer the poles, since temperatures are heating up there the fastest. It also threatens island and shore species, since rising sea levels are flooding their habitats. Climate change is so destructive that even our best efforts to limit will result in high extinction rates. In the Paris Climate Accord, countries agreed to limit climate change to 2 degrees Celsius. Even if they are successful, global extinction rates would still double. If nothing is done to stop climate change, one in every six species would go extinct. According to a 2019 United Nations study, the increase in the extinction rate has hurt agriculture. Since 2000, 20% of the earth’s vegetated surface has become less productive. In the oceans, a third of fishing areas are being overharvested. Birds that eat crop pests are down by 11%. Bats and birds that pollinate plants are down 17%. In Europe, around a third of bee and butterfly species are declining and almost 10% are threatened with extinction. A United Nations report estimates that 75% of the world’s food crops rely on pollinators to some extent. If these species go extinct, so does almost 8% of the world’s food species. Farming practices are themselves to blame. Most farmland is used for one of only nine crops: sugar cane, corn, rice, wheat, potatoes, soybeans, palm oil, sugar beet, and cassava. One disease could create famine, as the potato blight did in Ireland in 1840. These crops rely on pesticides that are killing useful insects. Although organic farming is on the rise, it only accounts for 1% of farmland. For example, bee colony collapse disorder kills worker honeybees that have left the hive to search for food. They simply don't come back. The Congressional Research Service found that, between 1947 and 2005, the number of honeybees in the United States declined by over 40% from 5.9 million to 2.4 million. The crisis is escalating. In April 2016, researchers reported that honey bee keepers lost 44% of their colonies in the prior 12 months. That's up from 42.1% in 2015 and 39% in 2014. If colony collapse disorder continues at the current rate, managed honeybees will disappear by 2035. This will affect the 100 crop species that make up one-third of the average diet. Bee pollination is worth $15 billion to the U.S. farming industry. The disorder has already raised prices for nuts, fruits, and vegetables. In California, it tripled pollination fees. Beekeepers charged almond growers $51.99 per hive in 2003. By 2009 that rose to $157.03 a hive. By 2016, that fee increased to prices between $180 and $200 a hive. What’s causing the disorder? Three neonicotinoid class insecticides weakened the bees' immune system. These chemicals are clothianidin, imidacloprid, and thiamethoxam. In September 2018, University of Texas researchers found that glyphosate, the active ingredient in Roundup, destroys the bees’ immune systems. That makes them more susceptible to infection, mites, and death. As coral reefs die, flood damage from storms will double to $4 billion a year. Will man survive the sixth extinction? A small size doesn’t need as much food. Fast reproductive cycle so not much time or resources are needed to multiply. Lots of offspring. More offspring means better chances of surviving and more genetic diversity. The ability to eat and digest anything. Species that only eat one specific food will disappear when the source does. For example, the Lake Alaotra Gentle Lemur only eats bamboo on Lake Alaotra. It is the only primate that lives 100% on water. There are only 2,500 left. High mobility to enable finding food and more hospitable areas. The ability to hibernate, live in burrows, or be able to go for long periods without food and water. Being geographically widespread is a help, but it isn’t enough. Most of the species that covered the earth during the past events disappeared because the event’s impact was also widespread. Homo sapiens is widespread, mobile, and can eat anything. But it is large and requires a steady diet of water and food. Worst of all, its gestation period is long and the time to reproductive maturity is very long. Those characteristics mean it is not likely that homo sapiens would survive a sixth mass extinction. Let the Environmental Protection Agency know you oppose the use of bee-killing neonicotinoids. The agency is looking for public comments in spring 2019. Advocate for conservation areas. Existing protected areas have kept extinction rates 20% lower than they would have been. Almost 13% of the Earth’s land is protected, but only 2% of the ocean is. Find out what species are going extinct in your area and try to protect them. For example, residents of Sydney, Australia, are protecting the 60 breeding pairs of Manly’s little penguins that live on the city’s beaches. Reuse your shopping bags instead of allowing stores to give you non-biodegradable plastic bags. This will save turtles and other wildlife. Avoid food with palm oil because tiger habitats are being cut down to plant palm plantations. Here are eight other actions. The U.S. Fish and Wildlife Service has 10 tips to help preserve bats. It also shows what species are endangered in your neighborhood. Similarly, grow native plants in your yard to support local wildlife. Get involved with the animal conservation organization of your choice: World Wildlife Fund, National Wildlife Federation, or one of 10 other organizations that focus on specific animals. Refuse furniture made of wood from rainforests or endangered trees. Recycle your cell phones, because a mineral used in electronic production is mined in gorilla habitat. Support ecotourism. Only 10% of Madagascar’s original natural vegetation remains intact. 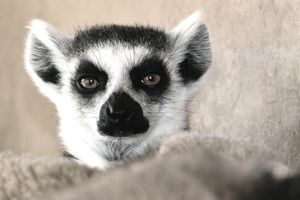 As a result, around 90% of lemur species are threatened with extinction. The country is among the world’s poorest. But ecotourism can both lift the country out of poverty and save these critically endangered primates. Switch to a more organic, plant-based diet. The meat-based Western diet contributes one-fifth of global emissions, creates monocultures, and contributes to the clearing of bio-diverse areas. These crops also contribute to pesticide pollution. The best way to solve that is to eat organic. Become carbon neutral. The United Nations program Climate Neutral Now allows you to offset all the carbon you've emitted by purchasing credits. Vote for candidates who promise a solution to global warming. The Sunrise Movement is pressuring Democrats to adopt a Green New Deal. It outlines steps that will reduce U.S annual greenhouse emissions from 2016 by 16%. Plant trees or support organizations that do so. The National Forest Foundation is just one of the many organizations recommended by the U.S. Forest Service. Your donations to Eden Reforestation plants trees in Madagascar. That gives the people income, rehabilitates the habitat, and save lemurs and other species from extinction. What Are the Costs of the Trump Tax Cuts to You? Are certain investments worth some extra risk?